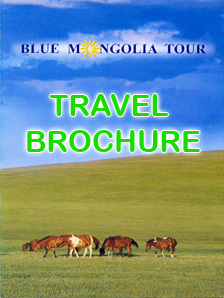 Blue Mongolia Tour agency names the one of the unique things to do in Mongolia is to do shopping in cashmere shops. Mongolia produces a third of the global supply of cashmere, as making up 40 percent of the country's non-mineral exports. Mongolia produced more than 7,000 tons of cashmere in 2015, the last year on record. Mongolia's nomadic herders have herding and increasing of goats. In this way herders' income from cashmere goats with other animals that carry the promise of high revenue, like yaks and camels, is increasing now. In the past, they relied on cows, sheep, camels and yaks to make a living instead. Almost all cashmere sourced from Mongolia is organic and natural. There are more than 10 cashmere factories in Ulaanbaatar city, which manufactures natural soft high standard clothes from cashmere. These factories Gobi, Altai, Buyan, Evseg, Bodio, Naadam and so many factories produce cashmere clothes, cashmere rolls, cashmere outdoor camping equipment from goat and camels’ cashmere and yak and sheep wools. These factories products are rich in selection of sizes, designs, colors and softiness. When you are traveling in Ulaanbaatar, it is recommended to have shopping in cashmere shops and to buy some cashmere products as gifts for your beloved ones. It's well known that cashmere should not be put in the washing machine. We recommend baby shampoo, it works like a charm! Use lukewarm water, gently swirl your sweater, and let it soak for up to 30 minutes. To dry, the trick is to lay out your sweater on a bath towel and gently roll the sweater in the towel, absorbing all the water in a cashmere sushi roll of sorts.